Modern data centers are being transformed in dramatic fashion. 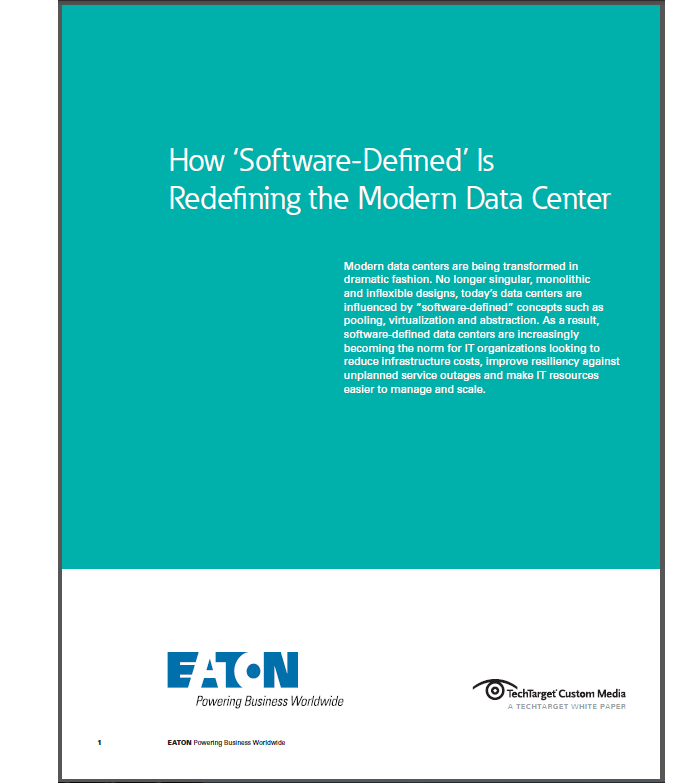 Software-defined data centers are increasingly becoming the norm for IT organizations looking to reduce infrastructure costs, improve resiliency against unplanned service outages and make IT resources easier to manage and scale. Eaton and TechTarget report on where IT professionals are today and the direction the industry is going.